People are buying air rifles these days not just for entertainment but to use it to get rid of annoying backyard pests like squirrels. Some use it in competitive shooting, but you need to know first what features you are looking for in an air rifle. This Beeman air rifle review aims to provide you the insights you need to know about their Beeman RS1 Dual Caliber. Here is a quick recap on what we think of this air rifle. In this review, we will be focusing on the features and capabilities this gun has to offer. To accomplish this goal, we must look at the product, some facts about its essential features, pros, and cons. So be sure to read along. 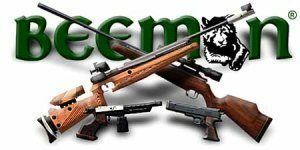 Why Should You Choose Beeman Air Rifle? The company is owned by Professor Robert Beeman, a biology professor in San Francisco with a passion for Beeman airguns since his childhood. He creates his air gun designs and tweaks other designs. The company aims to provide quality rifles capable of performing the best and beyond the customer's expectations. Excellent customer service is also one of their priority. All the products are evaluated to make sure they meet or surpass all recognized specifications and standards. It is essential to bring along the right air gun if you want to have enjoyable vermin hunting or plinking. The unique thing about this air rifle brand is they were the first manufacturer of this kind of rifle. During their first few months making air rifles, they were quite good. The problem at present is that they cannot keep up with the latest technology. But, other manufacturers have just got better as the time goes by. One of the best examples of this is the Beeman RS1. This dual rifle can switch between a .177 caliber and a .22 caliber barrel. Although, the air gun brand is not the only most vital deciding factor when buying an air rifle. Sure, it is a good thing to know that you are purchasing from a reputable brand, but the essential thing is to ensure that the air gun is comfortable for you. If you feel uncomfortable when holding it, chances are you will not have fun shooting it. Also, your accuracy will be affected. The Beeman RS1 is one of the best in this category. With just a simple twist of the bolt, you can switch between a .22 barrel and a .177 caliber. The Beeman Dual Caliber has a pretty solid built. Personally, I prefer the hardwood stock, but if you want the synthetic stock, it is also available. The unit weighs 6.9 pounds, but I would say it is not on the heavy side. As compared to other guns I have tried, this one is considered lightweight. This model comes with a case that encased both barrels, scope, and the stock neatly in position. It is an added convenience, and it helps keep the gun in better shape. According to some people, the Beeman RS1 has bad accuracy. The Allen bolt is located at the bottom of the barrel. This bolt is what enables you to change barrels. Some people have issues with the bolt getting loose while shooting and makes the shots got off all over the place. But, I never experienced such claim. I got good groupings when I fire the RS1 even as far as 50 yards. When it comes to power, I was hoping this rifle to be okay, but it exceeds my expectations. According to Beeman, you will get 1000 FPS in .177 caliber and 830 FPS in. 22 and I could confirm this claim. With .22 you can shoot hard, and in .177 you can shoot fast. And that can come in handy depending on whether you are hunting small game or plinking for fun. The fact that I don't have to carry two guns is a definite plus. 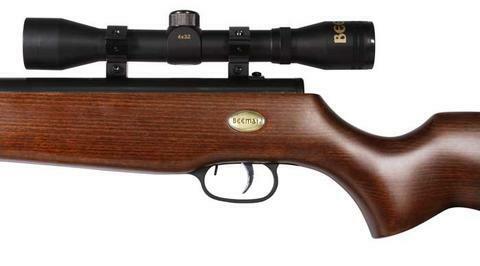 The Beeman RS1 comes with a 4x32 scope. Just like other bundled scopes, it is not the perfect gun that you can purchase, but it is still very accurate. I need to re-zero it every 100 shots or so. And if you intend to change barrels, you will need to sight it again. You won’t find Picatinny or Weaver if you use this rifle. This air gun uses an old-fashioned scope mount. The Beeman RS1 is a break-barrel rifle. Thus, it is easy to load and shoot. You will not have any difficulty in changing the barrels since it is simple and straightforward. All you need to do is to remove the Allen bolt to change out the barrel. Make sure you tighten it well to avoid from becoming loose when shooting. The cocking is 31 pounds, which means it is not a rifle for young teenager or kid, it is not for kids. 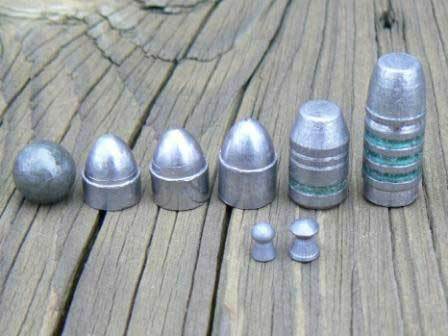 You can use it for plinking and fun, but it is recommended for small game hunting. It costs less as compared to other brands. No need to apply for a legal permit or license to buy or shoot. This means less stress, saving time and money. The competition is unlimited so that you can join the competition every weekend. This brand is focused on quality and adding great features. It offers a great selection of rifles for both the backyard plinkers and competition shooters. Shooting are a fun hobby. You think you have seen it all? Not yet. The manufacturers continue to deliver new add-ons on their guns to make it more enjoyable. It is an industry and hobby that is continuously changing. But, the core concepts usually remain the same. The most important things to consider when buying air guns are how it works and the different types available. Some shooters likewise check on airsoft rifles, so determining the difference between the two can narrow down your searches. Having some idea about the different types of rifles for recreational purposes and how they differ can likewise help you in choosing the perfect gun. Once you know these things, shopping for an air rifle is much easier. It does not matter what your reason is, don’t purchase an air gun only for the brand, check it out, and ensure it is a perfect fit for you and your body. Read here if you want to know what are the best air rifles currently available on the market. This Beeman air rifle review shows that their Beeman RS1 dual caliber functionality can quickly adapt to different shooting situations by just changing the barrel. Everything fits perfectly inside the soft carrying case included in the package. Velcro tie-down straps to keep the barrels, scope, rings, and gun secured to prevent everything from shifting during transport. This rifle is ideal for plinking, shooting cans, small game hunting, and for fun. We rate this rifle 4.5 stars out possible 5. Would have been 5 if the scope is better.